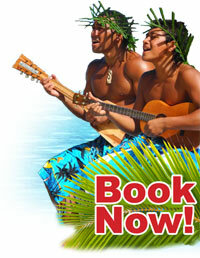 Don't miss a fantastic day out with Koka Lagoon Cruises exploring famous Muri Lagoon. 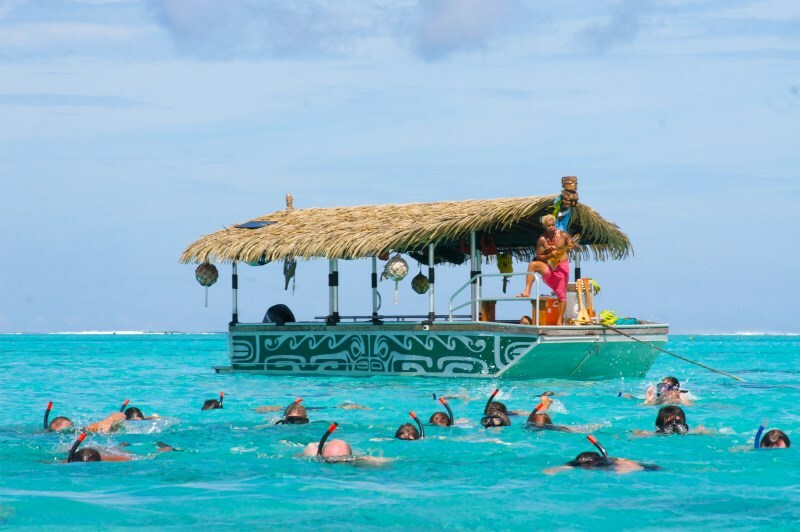 Make your Rarotonga holiday a memorable one, and let our multi talented crew treat you to an experience you wont forget - snorkelling amongst lagoon life or enjoying through glass bottom; non-stop entertainment with ukulele playing, pareu tying, weaving (score yourself a pair of kikau glasses! ); enjoy a delicious fish bbq feast, amazing coconut tree climbing show, coconut husking and more! Find out more on the cost of our cruises and booking. Informative, educational, and most of all FUN for all ages, whether families with small children, or the elderly. Taking lagoon cruises to the next level. Check out our awesome video! 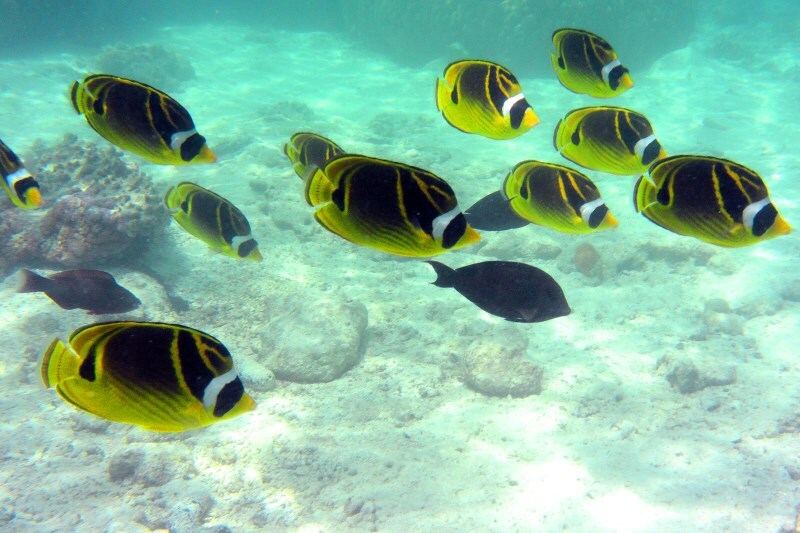 Know that a portion of your ticket also goes to a marine conservation fund. Looking to do something a little different for your hens or stags do, corporate function, family reunion, birthday or wedding group? Then don't hesitate to book with us. We will ensure a unique fun experience on Muri lagoon, with our awesome crew providing string band entertainment, and catering to your needs. Enquire now! "We would highly recommend this cruise to anyone wanting to consider taking a cruise, you definitely start as a tourist and leave as a friend!!" "Congratulations in providing an experience that is appealing and fun for all ages. Thank you for making our holiday so memorable.You deserve 10/10!" 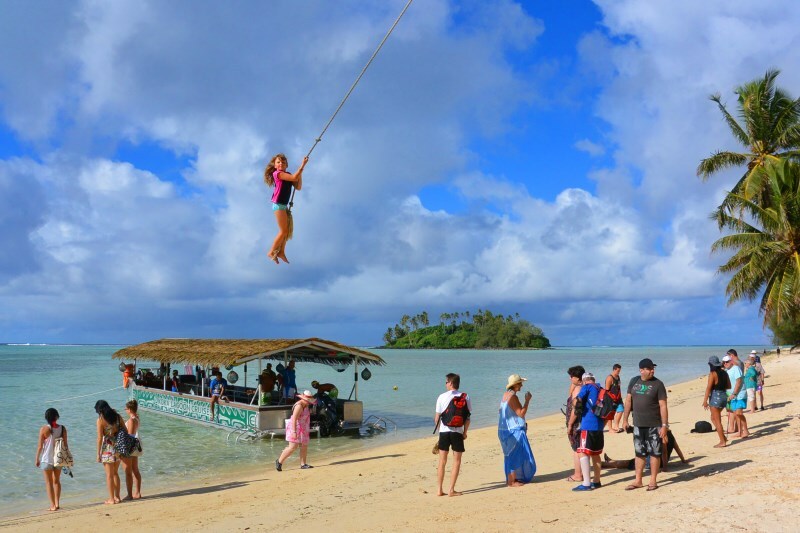 "This will be a highlight of your visit to Rarotonga – an absolute must. These guys have got it just right!" 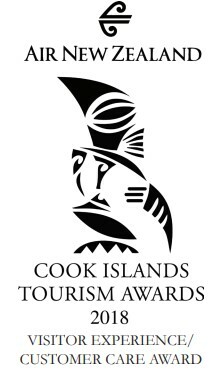 · Awesome coconut tree climbing show & more!